Sprint is CPT’s flagship annual festival of adventurous new performance. For twenty years, it’s been hosting the most eye-opening new talents in theatre – many of whom are now fixtures on major stages worldwide. In 2017, we can promise you another intense hit of creativity: three weeks of shows like you’ve never seen shows before, by the most exciting theatre-makers you’ve yet to meet. In the latter category, we’re delighted to welcome back to CPT the award-winning artist Scottee, whose extraordinary new production addresses bravado, banter, male aggression and domestic abuse. 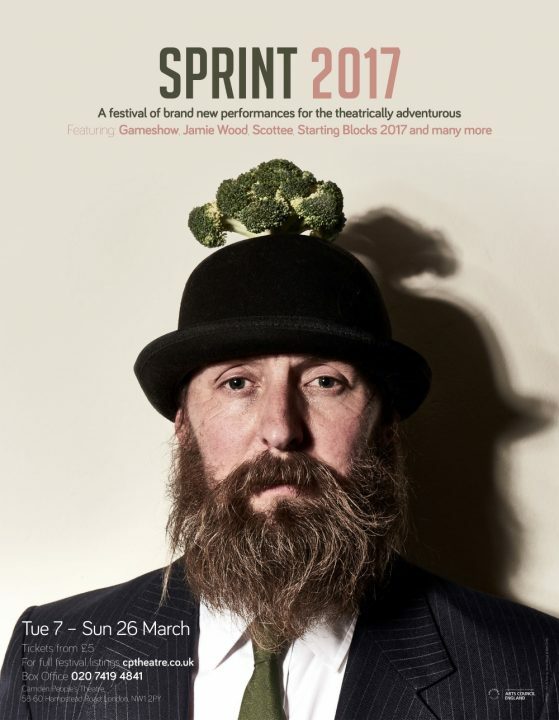 Bravado will headline the first week of Sprint 2017. Always a highlight of the CPT year, Sprint is when we play fastest and loosest, where we open our doors widest to the most extraordinary array of new and diverse indie theatre talent. Join us in March for this cavalcade of invention, entertainment and new ideas.